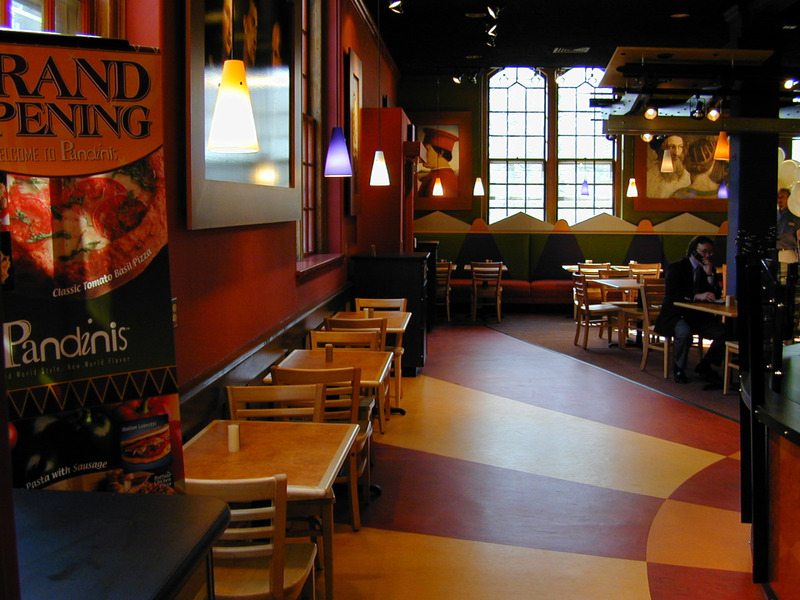 New retail branded pizza concept with an architectural image embodying quality, variety, freshness and taste. 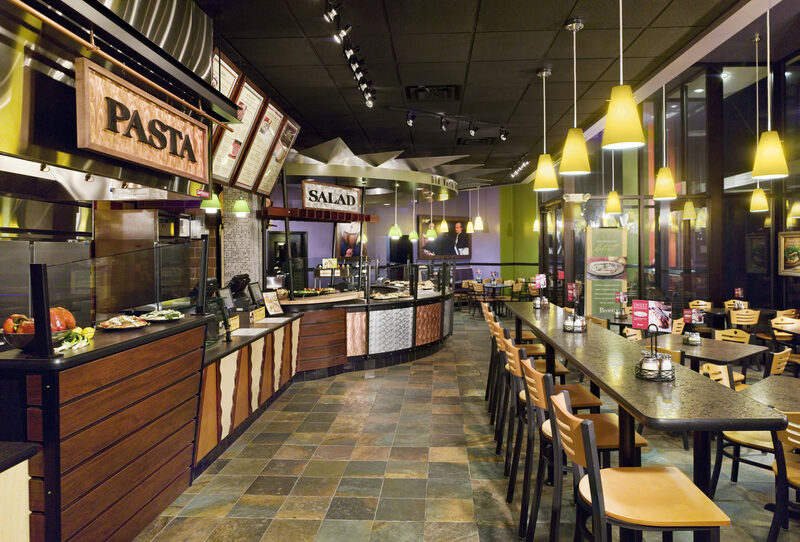 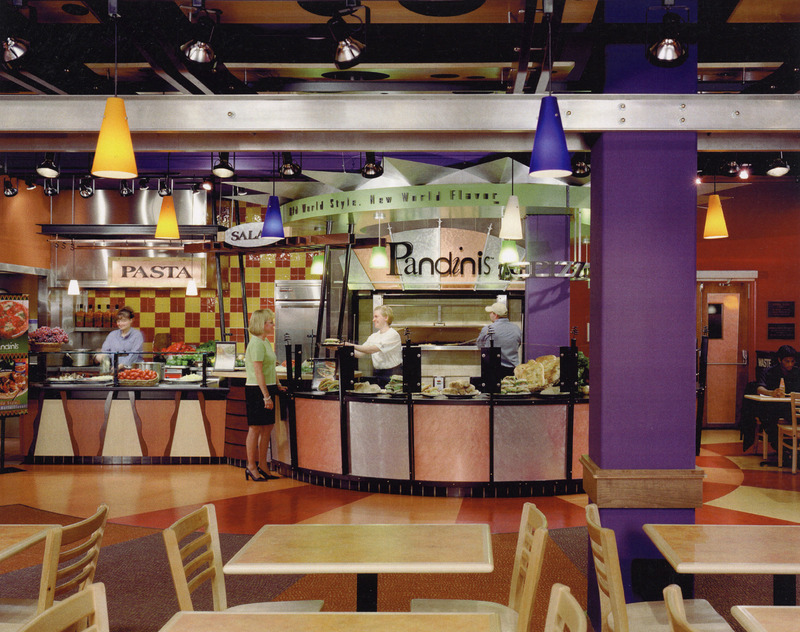 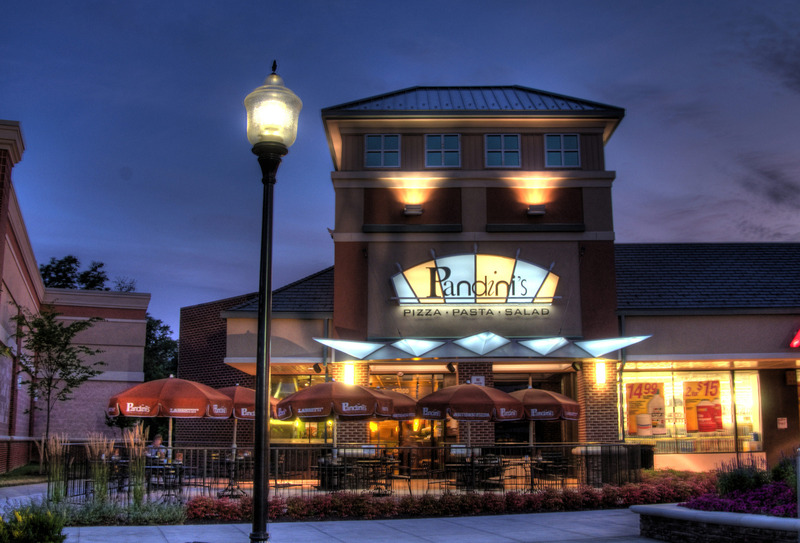 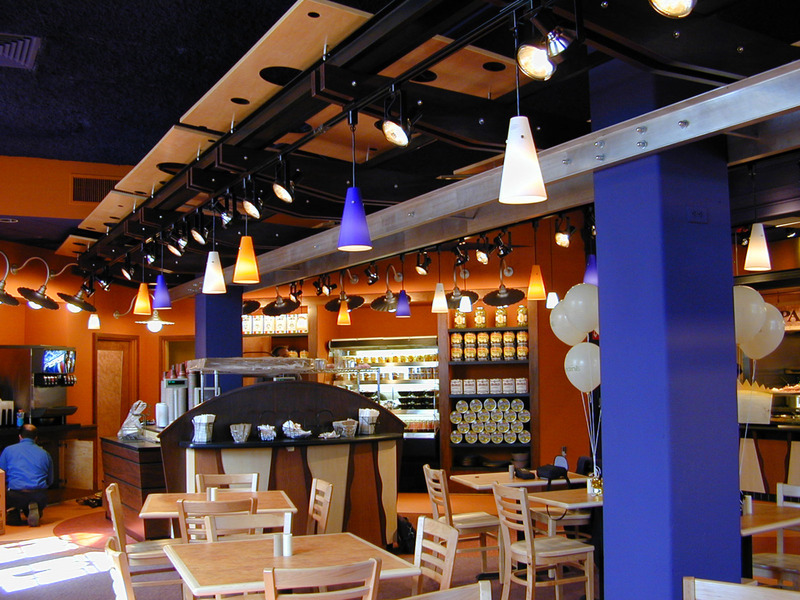 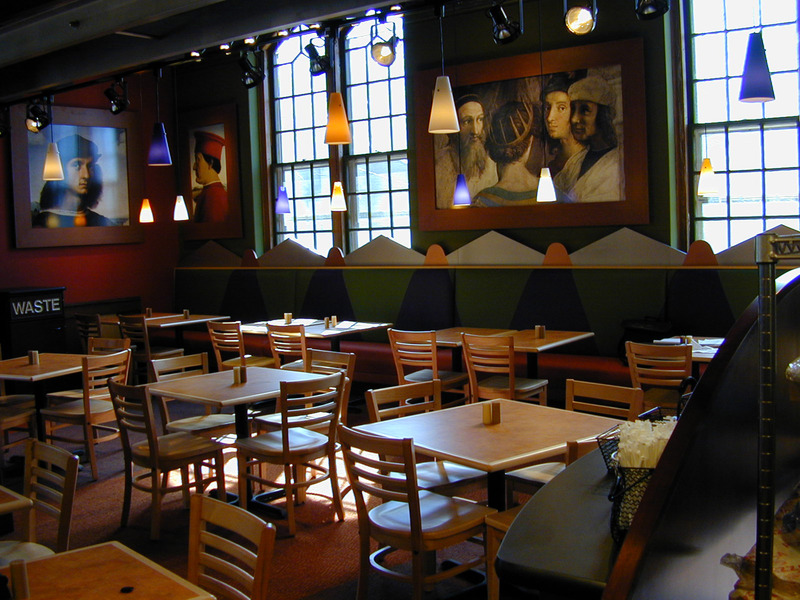 Seeking to avoid the typical college pizza joint syndrome, the Pandini’s concept was to inspire customers to have a memorable, enthusiastic dining experience. 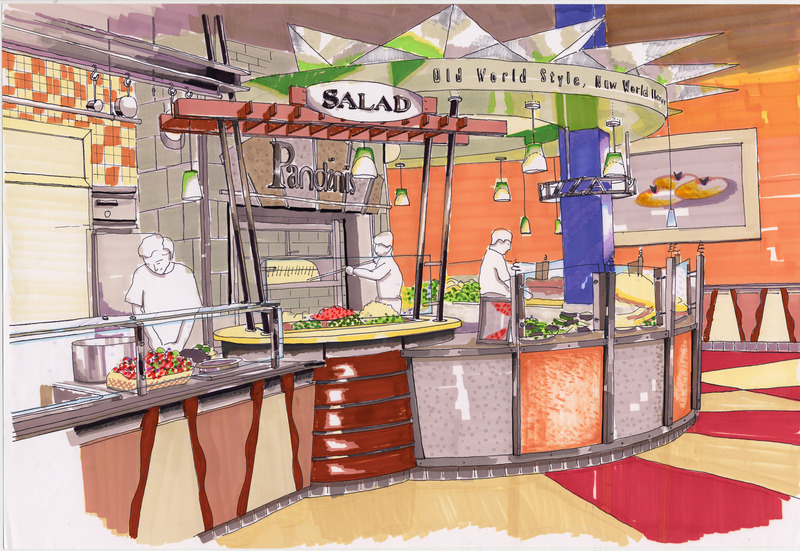 Circles, ovals and rectangles are collaged together to create a necklace of menu-driven stations. 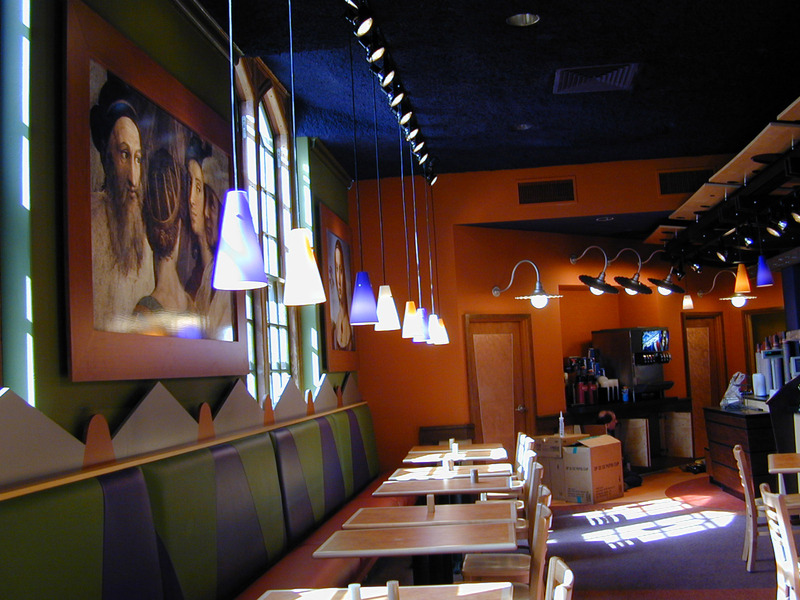 East station is assigned a distinct shape, palette of finishes and unique iconography. 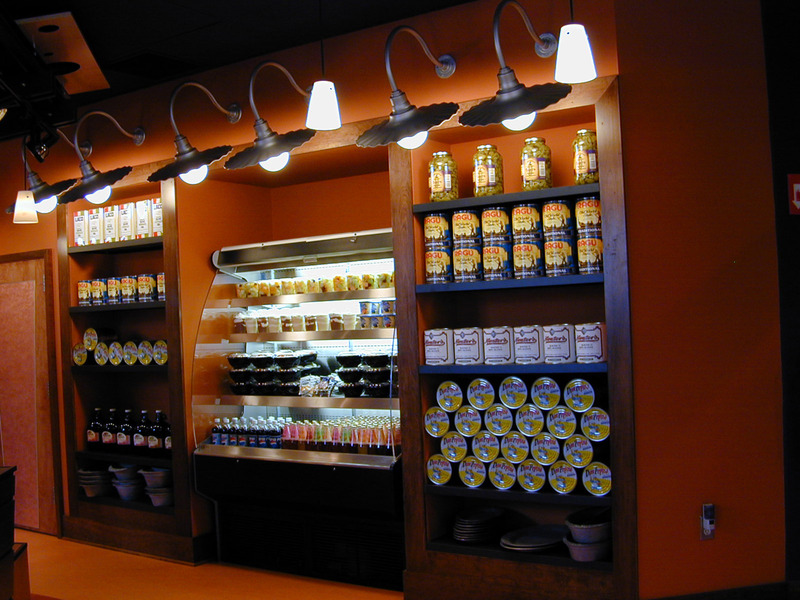 The resulting “zoning” of stations allows each menu component to have its own territory and display format, featuring it products in the post appealing light. 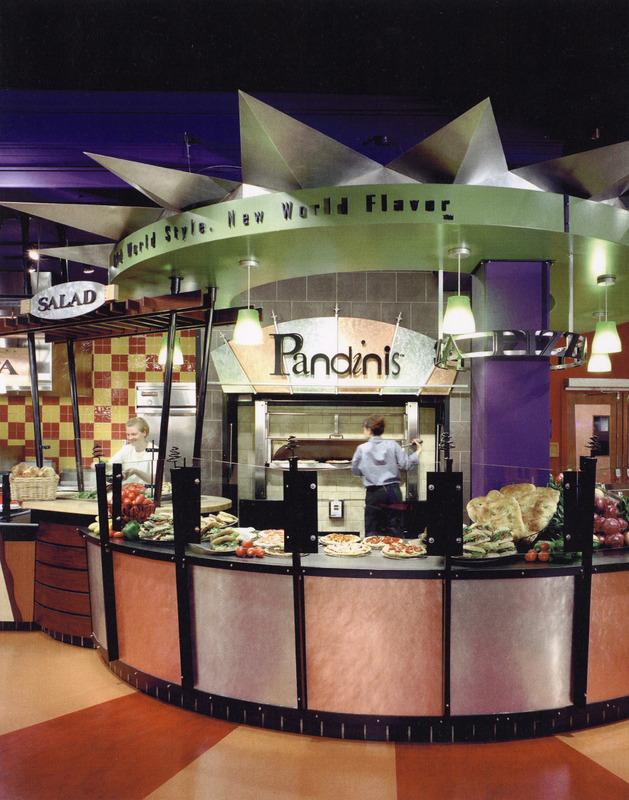 Pandini’s outlets operate in one of two formats – a full restaurant version and Pandini’s Express for smaller settings. 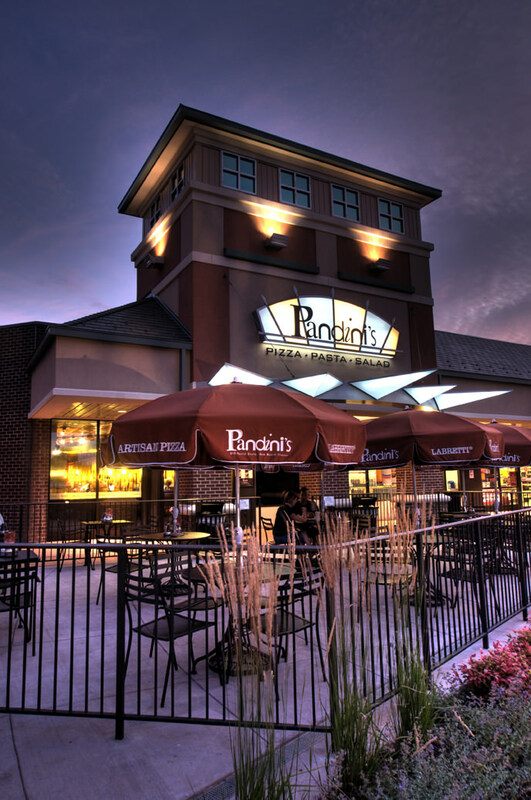 There are currently 16 Pandini’s and Pandini’s Express locations nationwide.